Home Tags Posts tagged with "samsung"
Mobile phones are one of the essential commodities these days. Well, they do have endless uses and the Asian region has the highest adaptability rate. In a recent report published, Ericsson claims that in the next 5 year period, highest share of the smartphone growth will come from the Asia-Pacific region. We recently published the growth in smartphone sales based on a report by CMR India. And the same people have now released the Sri Lanka mobile market share report for the 1st quarter of 2014. And we have listed out the key takeaways from the report, below. We have also turned the report into a nice infographic for easy viewing. Important: There are few things you you should note before reading the facts/ infographic. We have repeatedly used the term ‘sales’ below. But what it actually means is the ‘number of units shipped to’ retailers or distributors. Given supply shares reflect the demand in the market, the producers of the report have used it to reflect the sales in the market. Another important fact to note is that the numbers actually mean the number of units shipped by OEMs to authorized distributors or retailers. This report does not include the devices sold in the ‘grey market’. There are also instances where devices are brought down by individuals traveling from abroad and the report does not track the numbers. Given these facts, please note that the actual market share numbers will be higher than what is shown in the charts. 1- Compared to Q4-2013 (0.8 Million), ‘mobile handsets’ sales (shipments) in Sri Lanka has seen a drop of around 5% in Q1-2014 (0.76 Million). 2- Drop in the sales of ‘feature phones’ (0.68 Million in Q4-2013 and 0.64 Million in Q1-2014) contributed to this overall drop in sales. Smartphone sales (shipments) remained unchanged. 3- Total of 0.12 Million smartphones were sold (shipped) in Q1-2014, which is around 15% of the total mobile phone sales of the quarter. 4- With 26.2% of the market share, Nokia remains as the leading mobile phone vendor in Q1-2014. Compared to 23.8% market share in Q4-2013, Nokia’s mobile handset market share has seen an increase in Q1-2014. We have clearly seen Nokia promoting the Lumia range heavily in Sri Lanka through dealers and service providers in the past few months. 5- Micromax has retained the 2nd place in among leading mobile phone vendors in Sri Lanka with 18.3% of market share. Micromax had 21.4% market share in Q4-2013. 6- With 11.4% of market share, E-tel beat Samsung to claim the 3rd spot in ‘mobile phone’ market share. Samsung occupied the 3rd spot in Q4-2013 with 12% market share. Also notable is that Samsung had the 2nd spot back in Q3-2013. 7- Samsung remains as the leader in ‘smartphone’ segment with 27.7% market share in Q1-2014, which is an increase compared to Q4-2013. Back in Q4-2013 Samsung’s market share in the smartphone segment was 21.2%. 8- Huawei retained the 2nd spot in the smartphone segment with 18.9% market share, while E-Tel took the 3rd position with 13.9% market share. Back in Q4-2013 Huawei and E-tel had 19.6% and 16.1% market shares, respectively. A notable fact is that for the year 2103, Micromax maintained the overall 3rd place in smartphone sales. But for the last 2 consecutive quarters E-Tel has overtaken the sales of Micromax in that department. Let’s be honest. We all love software updates on our smart devices. Be it Android, iOS or Windows Phone, we all love to run the latest OS version. It is surprising because, not so long ago when we were all using feature phones made by Nokia or Sony Ericsson (now Sony), we never bothered about any such OS updates. But the smartphone era has changed the way we see our handsets. We do a lot more than making a call or sending a text message on a smartphone. OS features define which platform we choose. And new updates to the system software means new and improved features. But getting updated to the latest OS on your device is not fun always. Especially if you are on Android. Take for example Android 4.4 KitKat, the latest version of Android which debuted at the end of October 2013. As of May 2014, only around 8.5% of Android devices run KitKat (4.4.x). On the other hand, iOS 7, the latest version of Apple’s iOS, which saw public release in mid September, 2013, runs on at least 88% of iOS devices(7.x.x). Before we get into the process, note that android devices can be categorized into 4 main categories. 2- Unlocked Devices – the regular devices you get in the market. Sold by country dealers or distributors for the manufacturers. The OEMs are responsible for updating these devices. 3- Nexus Devices – Sold directly by Google via Google Play (There were times before Google Play, when manufacturers sold it. Still some do in countries where Google Play is not present). Updates are pushed directly by Google. Updates usually arrive as soon as a new Android version is announced. 4- Google Play Edition Devices – Once again, sold by Google via Google Play, These devices are based on manufacturer models (i.e flagships) except they run mostly pure Android. Updates are mainly pushed by Google, with help from the OEMs. Now to the process. Carrier edition devices go through a complex process to get updates. We are not going to talk much about them since they are not much relevant here. Also the carrier branded ones are locked to that particular network, so you can’t use them in a different country. The regular unlocked devices have the largest market here. Nexus devices too are catching up locally, as of late. Even though Google Play edition devices are not widely available, that does not mean they cannot be used here. They are basically unlocked flagships with a nexus feel. The update process can be divided into 5 phases. This is when Google releases the Platform Development Kit (PDK) to the OEMs or hardware partners. The PDK is usually released at least 2 months before a major android version is announced, enabling hardware manufacturers to come up with innovative ideas for their devices. This also means the hardware partners will actually know what’s in store for the next big OS release. And some time after (around two months) the PDK is released, Google announces the newest version of Android. Major android versions are usually released along with new Nexus hardware (smartphone/tablets). And Google also announces update to existing Nexus devices. This updates starts rolling out (via OTA) globally within few days of the announcement. This actually completes the update process for Nexus devices, which is pretty fast. Once the OS is announced, Google provides source codes to the OEMs and the chipset manufacturers (like Qualcomm). The OEM will evaluate the source code to see the requirements. The chipset manufacturer plays an important role here. they will evaluate and decide whether to support the newest version on their chipsets and if so which models will actually support. (In the case of Nexus devices, these are done in-house at Google before announcing the updates). The chipset manufacturer may take their time delaying the process. At the early stages of this phase the chipset manufacturer will announce (to the OEMs) which of their chipsets will support the new OS. If any of their chipsets are excluded from this support, then whichever the device that is powered by that chipset, will be excluded from the update. If the chipset manufacturer decides to support the OS, they will go ahead and release the necessary drivers along with optimizations. And the chipset manufacturer will release what is known as a Modified Board Support Package (MSP) to the OEM. Much of the work required to update the Google Play Edition devices ends here. Since they essentially run an unadulterated version of Android, the process is shorter, and goes directly to Phase 3. This phase involves the regular devices and the ones specially designed/modified for carriers. It is in this step that the OEMs decide whether to support the new OS and if so on which devices. They also release a maintenance release (MR) and assign teams to work on integrating the OS with their own custom UI skins (i.e Sense by HTC, TouchWiz by Samsung). This is an important step since this defines how the OS will look and function on the device. If the OEM decides to exclude support for certain models, those devices will not get any update. They do it for various reasons, including that – continuous updates to older devices has a chance of affecting sales of newer models. It is also in his phase that OEM works with carriers to add any modifications to the OS to support carrier exclusive features (read: bloatware). During this phase all versions of devices (including GPE) go through internal testing. If any issues or critical bugs are found, a newer version is created and tested again. Once done,more testing and certifications are done by Google and other players like regulators. If this process is a success, then Google issues a Technical Acceptance (TA). For carrier versions, a TA is issued by the carrier too. And now it is time to roll out the update! Updates are mostly done as OTA (Over The Air) and carrier updates are handled by carriers along with OEM. OEMs handle the updates for the regular devices while Google come into play when GPE devices are updated. So, now you get an idea as to how the update process works in the background. It is obvious such a lengthy process requires time, since it involves multiple parties. And there is no surprise that the OEMs take a long time to release updates. Sometimes Google might actually release another version of android by the time this process comes to an end. All hail Nexus! Check out the detailed infographic by HTC, describing the process, here. Android holds more than three times the market share of iOS when it comes to smartphones. Well, Android has been leading the race for some time now. Availability and affordability have played a huge part in this development. But market share is not everything. Take ‘mobile Ad traffic’ – Apple’s iOS has been generating much more Ad traffic than Android for a long time. And thus more and more advertisers preferred iOS over Android, to market their products and services, which ensured that Apple earned more advertising revenue from iOS than Google from Android. But times appear to have changed in favor of Android lately. According to the latest quarterly report from the leading Ad network, Opera Mediaworks, Android has finally become the top smart-device platform with highest share of mobile Ad traffic. Android smartphones and tablets have managed to capture 42.83% of total smart-device mobile Ad traffic in Q1 of 2014, up from 37.71% during Q4 of 2013. Android was leading the ‘mobile phone’ Ad traffic volume during the 4th quarter of last year, but Apple’s tablet traffic made sure Android didn’t reach the top in overall volume. This is the first time Android has grabbed the top slot for ‘smart-device’ (phones+tablets) Ad traffic volume. Apple managed to capture 38.17% of the mobile Ad traffic, down from 43.39% in Q4 of 2013. Apple may not be worrying much with these numbers, though, since they are still leading the race when it comes to the total revenue earned from the Ad traffic. Apple is continuing to get more than 50% of the total revenue (through iPhones and iPads), despite drop in traffic. iPads make around 10.6% of the revenue while Android tablets make only around 1.64%. Overall Android made around 33.46% of the Ad revenue. It is also notable that Android has seen some steady growth during the last few quarters. It is expected that this change will attract more advertisers and developers towards Android OS. Samsung, unsurprisingly, remains the leading device maker with more than 60% of the Android Ad traffic coming from their devices. The report also notes that Social networking services attract more ‘Ad traffic volume’, than any other app categories. But most of the ‘Ad revenue’ comes from the Arts and Entertainment category. When comparing traffic from different geographical areas, Asia Pacific region continues to hold a steady second place behind US market. For those who are interested in learning more on the ‘Mobile Advertising Traffic’, you can check the quarterly reports at the source here. Last month we reported how 2013 became the year that saw annual smartphone sales surpass that of feature phones, globally. Well, that may not be reflected in the Sri Lankan market yet, but smartphone sales are surely on the rise in Sri Lanka, according to the latest quarterly Sri Lanka Mobile Handset Market Review by leading Market Intelligence and Advisory firm CyberMedia Research. As of today, there are already more LTE-based devices shipped into Sri Lanka than India! Compared to 2012, smartphone sales (percentage of number of units) in Sri Lanka have seen 80% year-on-year growth, according to the report. There are multiple reasons for this exceptional growth. More and more people are moving to smartphones. Communication, Social Networking and workplace productivity play a huge role in this move. This is fueled by the increasing number of “affordable” smartphones available in the market now. Mobile service providers are also investing more on launching and promoting smartphones with special offers and services, especially on the “data” front. The chart below will give you an idea on the changing trend in mobile phone sales in Sri Lanka. The rise in smartphone sales have clearly contributed to the decline of feature-phone sales, even though feature-phones still maintain the highest number of sales in the local market. According to the CMR’s report, Nokia ended the year 2013 with 27.3% of feature phone market share which was enough to retain the top spot. Nokia was followed by global market leader Samsung in the second place and Micromax in the third spot. Interestingly Samsung had a bigger competitor in Micromax in the local market, when it comes to feature phones. The market share margin between the two brands was less than 1%. This is also evident by the fact that Micromax actually sold remarkably higher number of feature phones than Samsung in the 4th Quarter of 2013. Micromax had 21.4% market share in Q4 2013 (up from 16.1% in Q3 2013) compared to Samsung’s Q4 2013 market share of 12% (down from 17.4% in Q3 2013). When it comes to smartphones, Samsung showed its global dominance in the local market too, by leading the list with a comfortable 37.7% of market share. But one should also note that Samsung’s Q4 2013 share (21.2%) is noticeably lower than its Q3 2013 share of 39%. We are not aware of the exact reason that could have affected the sales, but we guess it’s due to availability of larger number of smartphone options from different players at highly competitive price points. Huawei followed Samsung in the second spot with 11.9% of market share while Micromax, with 10.3% share ended up at the 3rd place. But if you take Q4 2013 alone, it’s E-Tel which took the 3rd spot (16.1%) beating Micromax. Introduction of multiple Android powered smartphones at relatively cheaper price points might have contributed to the success of E-Tel. As you can see in the charts, quite a large amount of market share was dominated by brands/vendors who could not make it to the top 3 list. For instance, Nokia has been promoting affordable Windows Phone devices as of late. Launch of Android powered Nokia X series will also give Nokia a chance to shine in the smartphone department in 2014. It should also be noted that a large number of Sri Lankans use Apple iPhones. Recently Dialog Axiata became an authorized seller for iPhones. Even though we could not find any reliable data on Apple’s market share in Sri Lanka, we can be certain that it is fast becoming one of the widely used smartphones in Sri Lanka. Samsung’s latest flagship, the Galaxy S5 and LG’s G Flex are also expected to launch in Sri Lanka, in days to come. It is February – the month of GSMA Mobile World Congress which is undoubtedly, one of the largest exhibitions for the mobile industry. With much speculations that wearable tech will dominate this year’s event in Barcelona, we have already been presented with exciting stuff from Samsung. Toady, Samsung has officially announced the next generation of their smart watch lineup with Gear 2 and Gear 2 Neo. Samsung Galaxy Gear smart watch was launched less than 6 months ago, along with Galaxy Note 3. If you were in the loop, you would probably know that the Galaxy Gear was more of a miss than a hit, in terms of how it was received by the industry. From day one, it had mixed reviews. Some did not like the design. But more than that, it had very limited compatibility with devices. It also came with “Samsung Apps” that lacked polishing, resulting in criticism from both consumers and experts. Hence you may understand why they had to rush to unveil the 2nd Generation so fast. The biggest change from the 1st Generation Galaxy Gear is that the new Gear lineup comes with Tizen OS (Samsung calls it as Tizen based wearable platform). Samsung is a heavy investor in the Linux based Tizen platform. Samsung has also opted out the “Galaxy” part in the naming of the new Gear devices. They have not given a direct reason for going with Tizen. But one has to understand that the smart watch and related ecosystems are still in infant stage and even Android has very limited apps for this form factor. So, investing on Tizen (in which they have greater control, compared to Android) is a smart decision by Samsung to add more apps and grow the platform in a way to suit their own products. Remember how everyone hated the S-Voice app on the Galaxy Gear and asked for Google Now integration since the device were running Android? Well, now you have your answer. A big NO. It is also worth mentioning that Samsung recently came to an agreement with Google that they will limit stop copying core android apps in their Galaxy devices (E.g ChatOn, S-Voice etc). Hence Tizen gives more freedom for Samsung, than Android. Samsung has given more importance to their S-Health app with the new smart watches. The devices come with heart rate monitor and pedometer. They can also monitor your exercise program and sleep cycle and offer real time personal fitness coaching. With an emerging trend of fitness centered wearable tech (including the rumored device from Apple), it’s not a surprise that Samsung has tried to integrate these options to the Gear line. As of now you may have realized that both Gear 2 and Gear 2 Neo are identical. Well they are, except for the camera, which seems to be the most prominent difference. The Gear 2 comes with a 2 MP camera, which the Grear 2 Neo does not have. The camera is capable of recording HD (720p) videos. Also Samsung has moved the camera to the main body of the watch alongside the IR sensor, unlike the Galaxy Gear which had the camera on the strap. Both smart watches can perform all other regular tasks. The Gear pairs with Samsung Galaxy phones via Bluetooth using the Galaxy Gear app. Users can check incoming texts, calls, emails, tweets, etc. without having to take the phone out. Users can also make calls from the watch using a built-in speaker and microphone. The Gear line will also have an app store with number of apps. Samsung says initial lineup will include apps from the likes of CNN, Feedly, Evernote, eBay, GM, Path, PayPal, Runtastic, Weather Channel etc. Gear 2 weighs 68 grams while Gear 2 Neo weighs 55 grams, meaning both are lighter than the original Galaxy Gear (73.8 grams). The Gear 2 will be available in Charcoal Black, Gold Brown and Wild Orange colours whereas the Gear 2 will be available in Charcoal Black, Mocha Grey and Wild Orange colours. Samsung is yet to reveal the prices of the devices. The new Gear smart watches are expected to be available for purchase by April. Word on the street is Korean technology powerhouse Samsung is gearing up to launch a competitor to Google Glass during the IFA trade show in Berlin which is scheduled to be held in September this year. The wearable device, apparently called Galaxy Glass is expected to operate just like its counterpart, by connecting with your smartphone, allowing you to listen to music and displaying alerts and so on. The hardware specifications of this device is not yet confirmed. The Korean Times cites an unnamed official of Samsung who claims, ‘The new smart glass to be introduced by Samsung is a new concept of wearable device that can lead to an exciting culture of communication. The smart glass will present our aim to lead the new market with proven capability. Wearable devices can’t generate profits immediately. Steady releases of devices are showing our firm commitment as a leader in new markets’. This news is sure to raise few eye brows in Google. 2013 was the most intense year in the tablet war yet. Amazon and Google kept their prices low, Apple and Samsung responded accordingly, and Microsoft showed it was here to stay. Here’s our take on what happened this year and what it all means. There are, naturally, other companies that build and sell tablets. Not only did 2013 remind us that the tablet market is large enough for many small players to fight it out, but even retailers designed and sold their own tablets in the hopes to make a quick buck. The bigger battle, however, is taking place between the big five, as each are putting in more and more resources to win over consumers. Tablet buyers thus end up supporting Apple’s iOS ecosystem, the Android ecosystem (in its many variations), or Microsoft’s Windows 8 ecosystem. 2013 showed us that even those who want to pick one platform and stick with it, end up using more than just one at home, at work, and on the go. Without further ado, let’s take a look at the bigger picture of what each company did, and tried to do, this year. In October, Apple introduced the fifth-generation iPad, called the iPad Air, and asecond-generation iPad Mini that comes with a Retina Display. 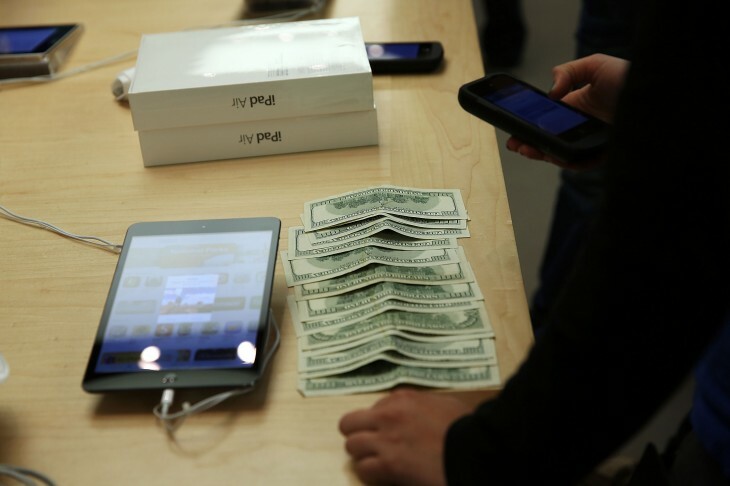 The iPad Air went on sale on November 1, while the second generation iPad Mini was released on November 12. Apple kept its pricing structure the same for the iPad and actually increased it for the iPad mini. The company showed once again that it had no problems with being beaten on price by the competition: it was still perfectly happy with losing share in exchange for keeping its profit margins. This is a strategy Apple has employed for most of its products, with mixed results. That tablet market is so massive, however, that trying to figure out whether the company is doing the smart thing right now is frankly impossible. While the latest iPad sales numbers aren’t available yet, we do know the demand is there. Having had decent success with the original Nexus 7 and the 3G-refreshed Nexus 7 last year, in July Google announced the 2013 model of the Nexus 7. An LTE variant was also unveiled and arrived in September. Curiously, the Nexus 10 was not refreshed this year, although rumors suggested that it would be. It’s still not clear how much the company wants to emphasize the larger tablet offering. Google was, however, very eager in pushing new Android releases, announcing both 4.3 Jelly Bean (along with the Nexus 7) and 4.4 KitKat (along with the Nexus 5) this year. Again we don’t have proper sales numbers yet, but the Nexus line seems to be gaining a lot of attention. Google showed in 2013 that it would do everything it could to ensure Android would become as popular on tablets as it already is on smartphones. While Google has been pushing its Nexus brand hard, it’s still no match for Samsung, based on market share at least. The South Korean company continued to dominate Android tablets, and kept its second place position in the tablet market overall. In April, Samsung revealed the 7-inch Galaxy Tab 3. In June, it followed up with 8-inch and 10.1-inch Galaxy Tab 3 tablets as well as the 10.1-inch ATIV Tab 3running Windows 8. In September, it also revealed the Galaxy Note 10.1 2014 Edition. While Samsung has been trying to simplify its tablet line, it is still difficult to keep track of, given the overlapping smartphone, phablet, tablet, and laptop brands. 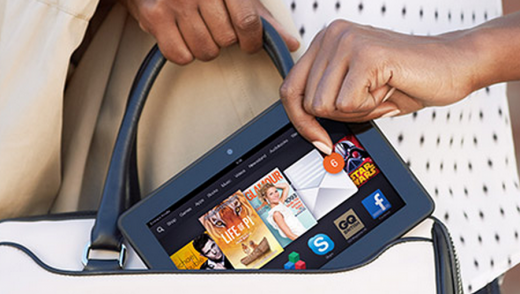 Speaking of brands, Amazon continued onwards with its Kindle and Kindle Fire approach. In September 2013, the company launched 7-inch and 8.9-inch versions of the Kindle Fire HDX. The same month, Amazon also announced the second-generation Kindle Paperwhite. In October 2013, the company refreshed the 7-inch Kindle Fire HD with a new case and price reduction. Amazon is starting to suffer the same problem as Samsung: offering just a few too many models of its tablets, leading to consumer confusion. Yet as is typical with the retailer, it will simply continue to slash prices and replace older models as it sees fit, sharing absolutely nothing regarding sales figures. Amazon’s Seattle rival may have been pushing tablets for ages, but the Surface line is still very much in its infancy. The company unveiled its Surface 2 and Surface Pro 2 refresh in September. 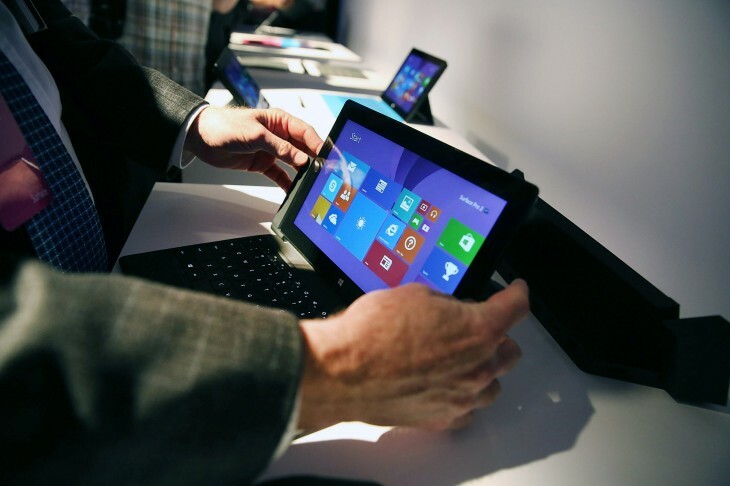 Microsoft continued to push its vision of a one-size-fits-all approach in the tablet space. Reviews were mixed for both devices, although there was certainly a notable improvement observed all across the board. Microsoft naturally has a long way to go, especially on the software side. Talk ofmerging operating systems and app stores suggests there’s a very long-term play in the works. 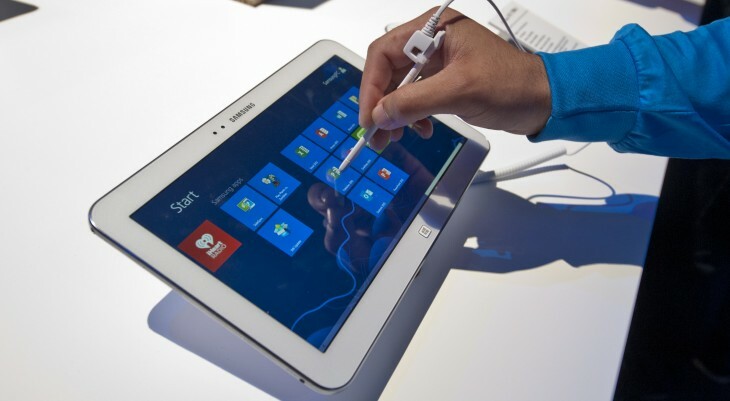 Throw in the acquisition of Nokia, and it’s obvious that Windows will play a major role on tablets. In 2013, prices didn’t drop as much as they did in 2012. By and large, tablet makers were more than happy to refresh their offerings without trying to significantly undercut each other further than they already have. Instead, they continued to invest in their respective ecosystems. Each of the big five has its own devices and accompanying services, and each are still trying to figure out how to best one-up each other: nobody’s strategy has been set in stone. Tablets are expected to outship mobile PCs this year, and it won’t be long till they outsell all other types of computers too. They’re simply devices that offer as much as, if not more than, traditional PCs do for most people, at much lower prices. While in 2012 it appeared that the battle couldn’t last, 2013 showed that none of the five are going to go down easy. Even though in terms of market share,Android seems to have won, 2013 wasn’t the year when company winners and losers were decided. Apple began allowing third-party gamepads on the iPhone with iOS 7, and Samsung is also upping its presence in the space after announcing it’s own gamepad (the not-so-creatively named ‘Smartphone GamePad’) for Android 4.1 phones. Unlike the iPhone gamepads which attach themselves to the device, Samsung’s is standalone and uses a Bluetooth connection to link up with a smartphone — although Android 4.3-powered Galaxy phones enjoy more features, including NFC connect support. The GamePad weighs in at 195g and features an eight-way D-Pad, two analog sticks, four action buttons and two triggers located on the shoulders of the device. The pad is accompanied by an app (‘the Mobile Console app’) through which users can browse and buy supported games. 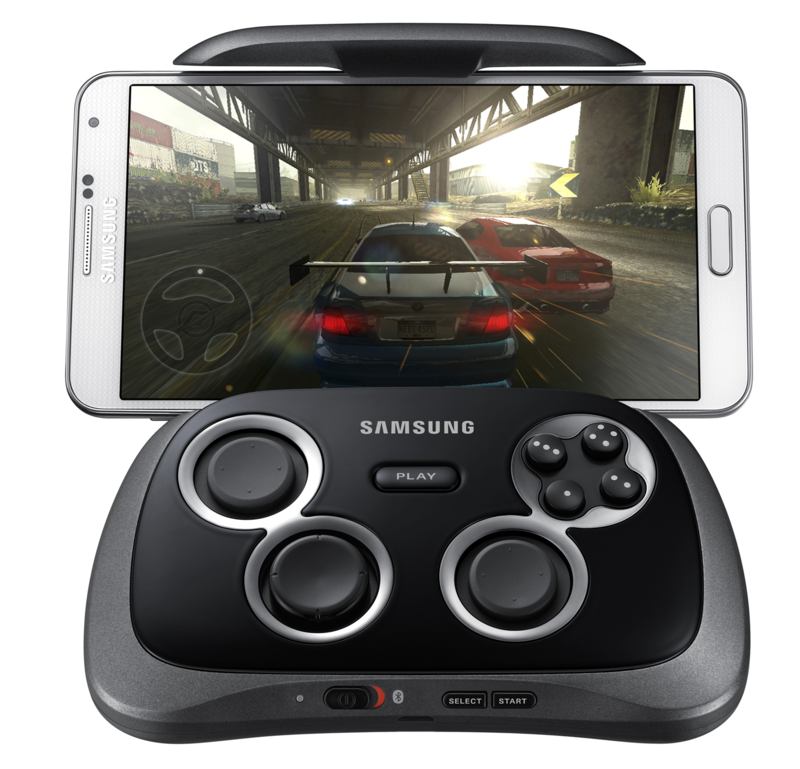 The GamePad appears to support all Android smartphones, but some features — including a ‘Play’ button — are exclusive to the Samsung Galaxy family. The company points out that Galaxy device owners can hook their phone up to their TV using an HDMI cable or mirroring apps like Samsung’s Allshare service , and then replicate a home console experience using the GamePad. The curved smartphone from Samsung, rumored last month for an October release, has been leaked on Twitter. Based on this photo, the Samsung phone has a Salvador Dali-esque melting effect. The screen of the device displays a number of apps identified with Korean text. Interestingly, the home screen of the device displays Oct. 10, a strong indication that Samsung may be prepping an official announcement for Thursday. Samsung first featured its flexible screen concept devices in a commercial this January. 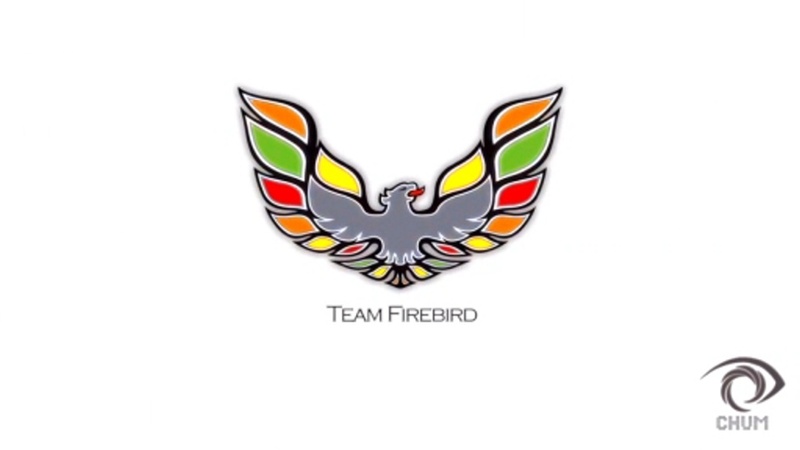 Team FireBird wins at Imagine Cup 2013 finals in Russia! We are delighted to inform our readers that team FireBird, 4 students from IIT (Informatics Institute of Technology) have won 1st place in ‘Samsung Digital Native Award’ at Imagine Cup 2013 in Russia. The team also secured $10,000 in prize money. Congratulations are in order since its the first time that a team from Sri Lanka have been able to clinch first place in a world final at Imagine Cup! The product i-Chum is a significant leap in enabling the visually impaired helping them to lead a normal and productive life. It provides augmented sensory aids: allowing the visually impaired to experience and comfortably interact with both the physical and virtual environments and animate and inanimate objects within these environments without compromising their safety. i-Chum uses a novel approach to package a combination of sensory techniques together. By connecting the device into a smartphone or tablet PC with Windows 8 OS user has the ability to perform task such as obstacle avoidance and -navigation,object identification and generic reading and writing. We researched the gaps in the current society where technology could actually be a help to improve the life style. Through the research we found out that even though there are products which have been introduced into the market already, still those products do not cater to a broad range of capabilities.Our team had a brainstorm session and we put our thoughts and knowledge together to come up with a perfect product which does cater wide range of capabilities for the visually impaired people.